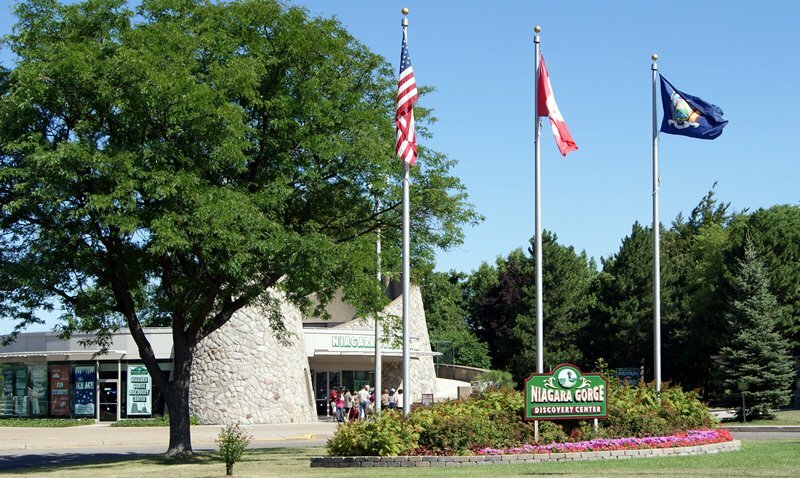 The Niagara Gorge Discovery Center showcases the natural and local history of Niagara Falls and the Niagara Gorge. You can learn about the ancient rock layers, local minerals and fossils, the history of the Great Gorge Route trolley line, and much more! Interactive displays, a virtual elevator trip and a 180° multi-screen theater presentation will show you how the mighty Niagara River carved the gorge and the falls over the course of more than 12,000 years –a process that continues today! For more information call (716) 278-1070. The Niagara Gorge Trail is the gateway to some of the greatest hiking, walking and cycling trails the area has to offer. Hike, walk, run or bike along the Robert Moses Parkway Trail, a multi-use trail that follows the Niagara Gorge past Whirlpool State Park and Devil’s Hole State Park to the Robert Moses Power Plant and the New York Power Authority Visitor Center. Hikers can access the Gorge Rim Trail, the Scenic Overlook Trail and the Great Gorge Railway Trail from the Trailhead Building. Four guided hikes are offered during the summer season. For self guided tours visit our hike the Niagara Gorge page. The Discovery Center is also home to the Niagara Gorge Trailhead Center, the gateway to some of the best hiking and biking trails in the region. If you choose to experience our Niagara Falls hiking along the Gorge Trail System, be prepared for steep stairs and rocks you must climb over. Four guided hikes are offered during the summer season. There are small fees associated with these guided Niagara Falls hiking tours. Please note: Sturdy footwear is recommended.Great Gorge Scenic Overlook HikeBegins at the Trailhead Building and is an easy one-hour hike. Age Requirement: NoneUpper Great Gorge HikeBegins at the Trailhead Building and follows the Great Gorge Railway Trail for an easy two-hour hike. Age Requirement: None. Devil’s Hole Rapids and Giant RockBegins at Devil’s Hole State Park and is a moderate level 2.5-hour hike. Age Requirement: Ages 8 and over only. Whirlpool Rapids Adventure Hike Begins at Whirlpool State Park and is a difficult three-hour hike, including some boulder hopping. Age Requirement: Ages 8 and over only. Call the Trailhead Building at (716) 278-0820 in season or the Niagara Region Park Interpretive Programs Office at (716) 745-7848 for Niagara Falls hiking and tour information. If you choose to hike the Niagara Gorge Trail System be prepared. It includes steep stairs and rocks to climb over. Sturdy footwear is recommended. Located just north of the Rainbow Bridge in Niagara Falls NY.